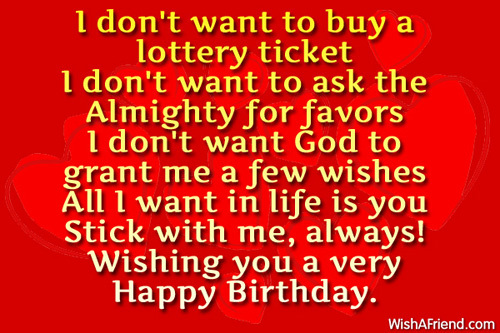 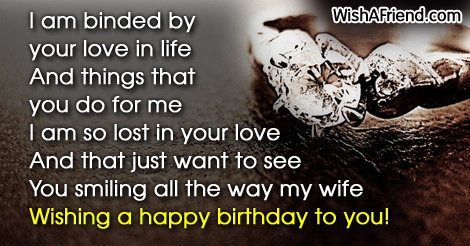 Need some good Birthday messages to send to your wife, find them right here. 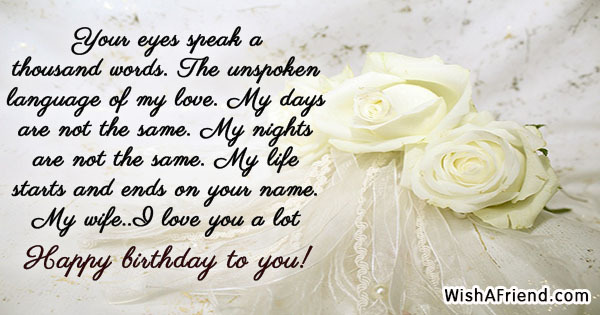 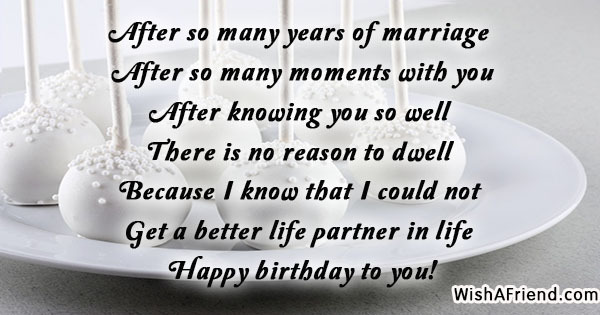 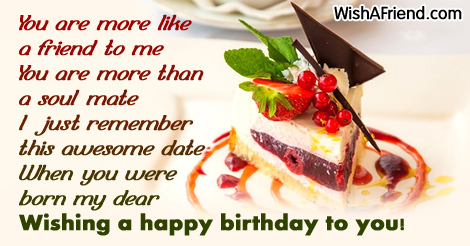 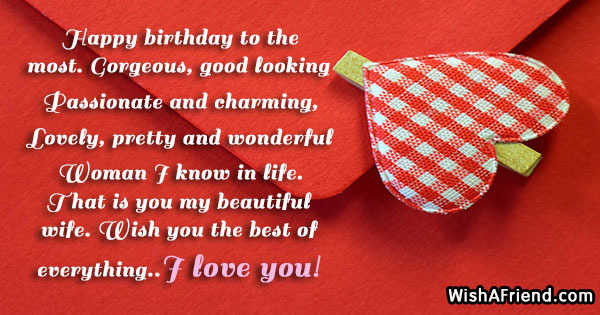 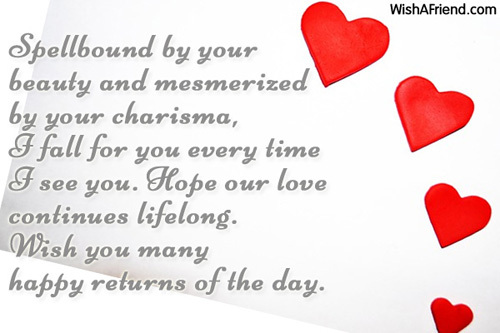 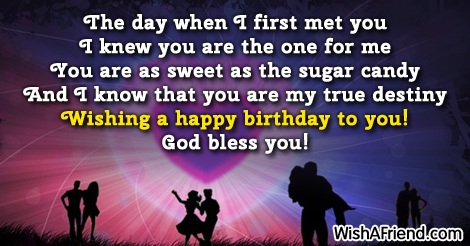 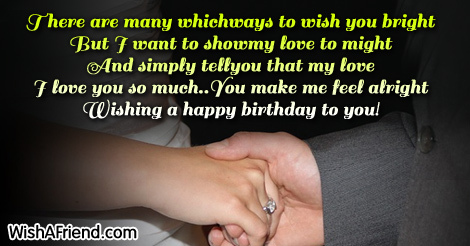 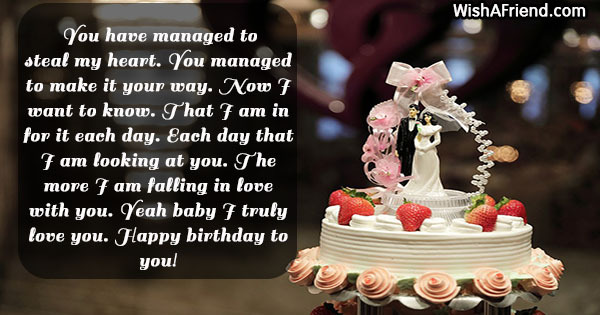 Share the Birthday message with your wife via Text/SMS, email, Facebook,Whatsapp, IM, etc. 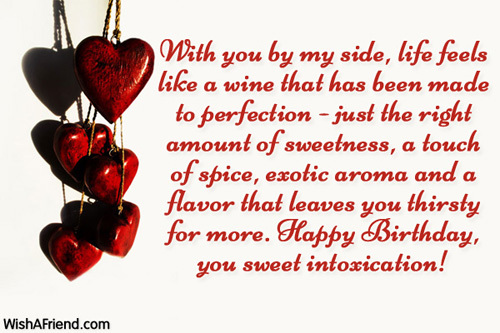 With you by my side, life feels like a wine that has been made to perfection - just the right amount of sweetness, a touch of spice, exotic aroma and a flavor that leaves you thirsty for more. 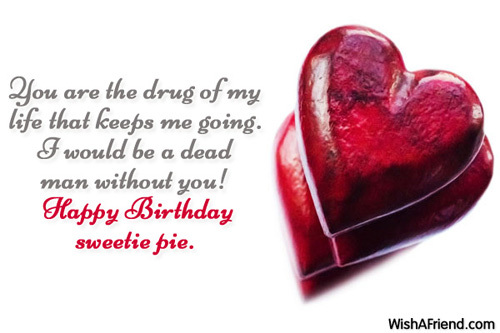 Happy Birthday, you sweet intoxication! 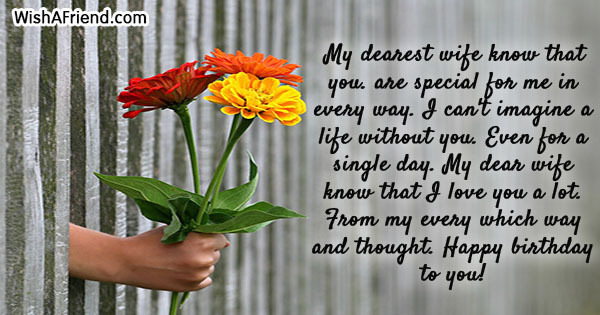 You are the drug of my life that keeps me going. 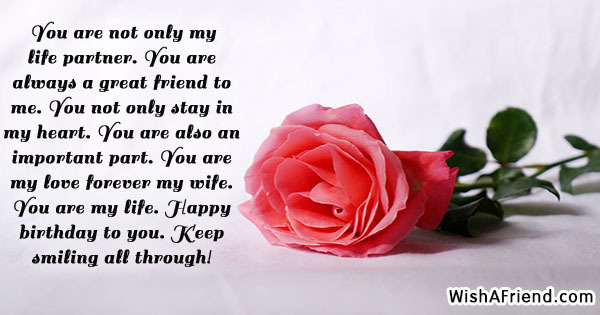 I would be a dead man without you! 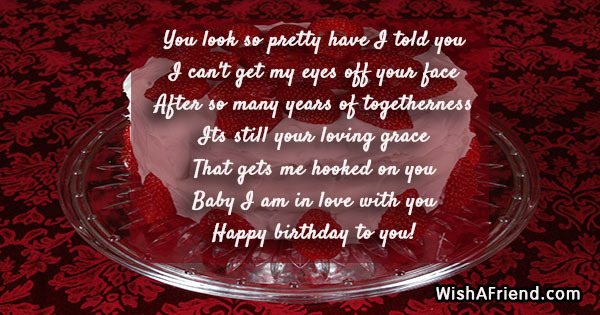 Happy Birthday sweetie pie. 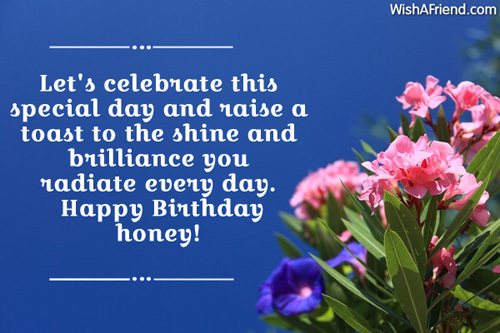 Let's celebrate this special day and raise a toast to the shine and brilliance you radiate every day. 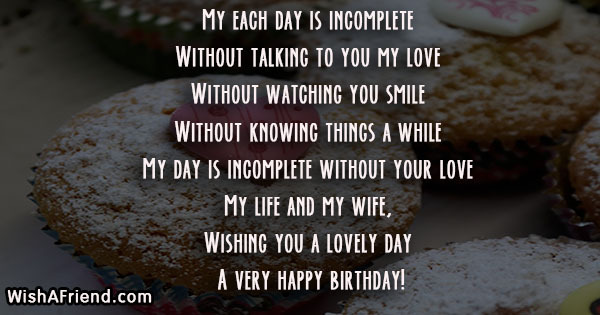 Happy Birthday honey! 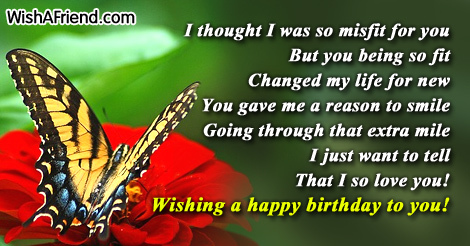 Wish you the best of everything..I love you!